A gardener's delight, Daphne plants with their fragrant flowers make them a popular, winter flowering, small shrub in the UK. 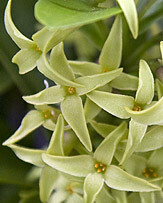 Daphne species and varieties available for sale include both evergreen and deciduous types. Flowers range in colour from white through to pink/red and yellow flowering varieties. D. jezoens and D. giraldii are two of the yellow flowering species while D pontica has yellow/green flowers. Some of the other common garden types include fragrant species such as D. cneorum and D. mezerum, although D. odora is the most fragrant species. Although they are a slow growing type of plant, these winter beauties are well worth the effort. Advanced specimens can purchased from a few growers, however, they will not be cheap to buy. With proper care and a little patience you can grow great daphne plants that produce flowers that will fill the garden with sweet perfume in the winter months. As most Daphne species are frost tender they need to be grown in a protected position in much of the UK. In the warmer southern areas they will happily grow in the border. In colder areas they will need protection. 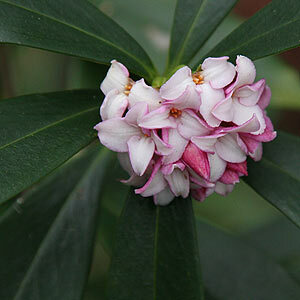 You can successfully grow Daphne in containers, and if you have a conservatory or greenhouse they will be easy. Try not to dig around the root system and keep well mulched so that the root run is cool. We find that well rotted compost is best, with some Dolomite lime added. Azalea and rhododendron food is generally not suitable. 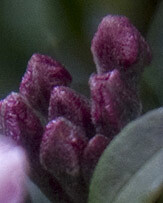 Daphne is slow growing and very rarely needs pruning. However, to maintain a bushy shape, or to prune to shape, do so just after flowering. Remove any dead, diseased or damaged wood at any time. The usual picking of sprigs of flowers to bring indoors seems to keep most plants in shape. d. mezereum is a medium sized deciduous plant. 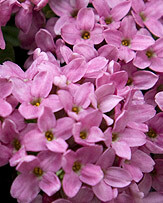 with pink flowers appearing in clusters along the bare stems in winter, followed by green foliage. The variety 'alba' has white flowers and this slow growing species takes little care. Grows well in shade to dappled shade. d. bholua s an evergreen species, hardier than some some species. Attracti ve white flowers in winter. d. burkwoodii is a larger growing species that will 2+m, however it is slow growing like most other species.